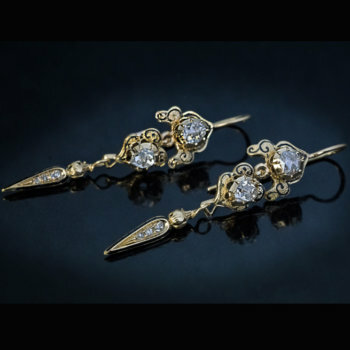 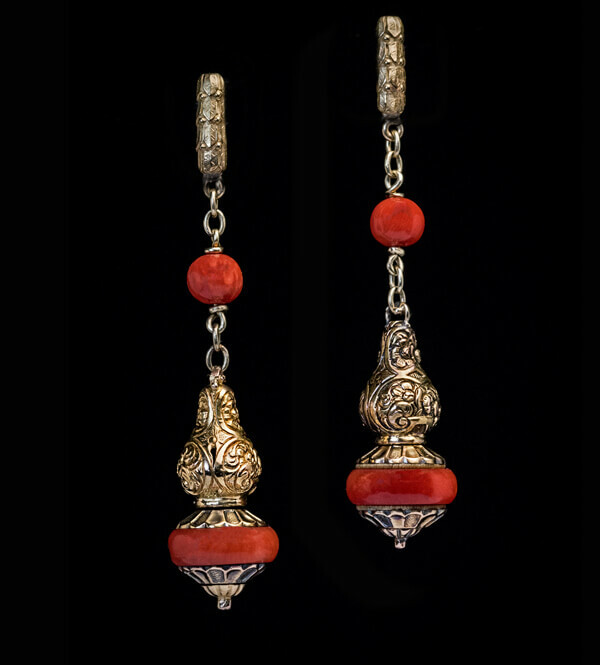 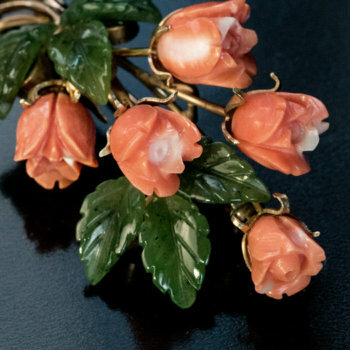 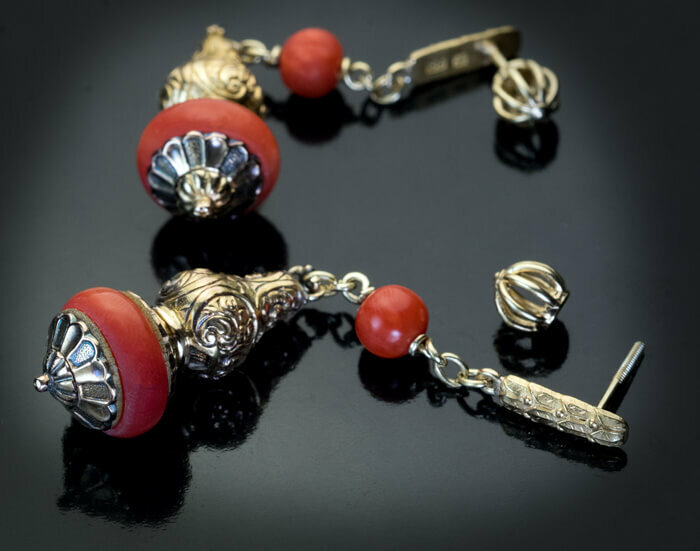 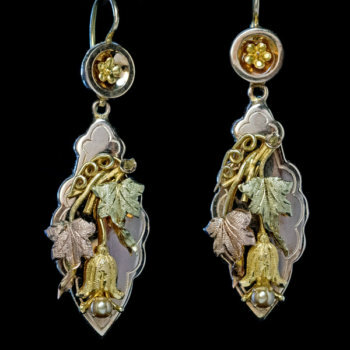 These early Victorian era antique 14K gold dangle earrings are embossed with floral designs and embellished with carved corals. 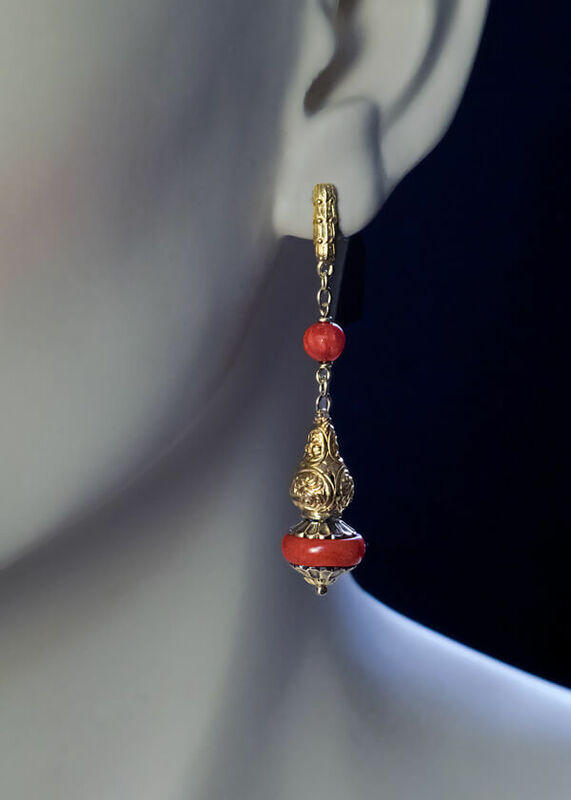 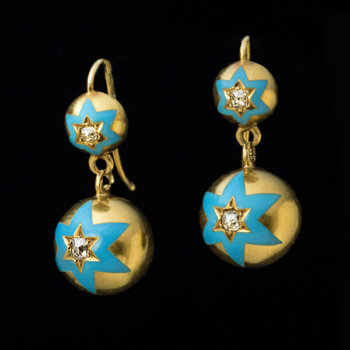 The earrings closures were replaced with posts in the 1900s. 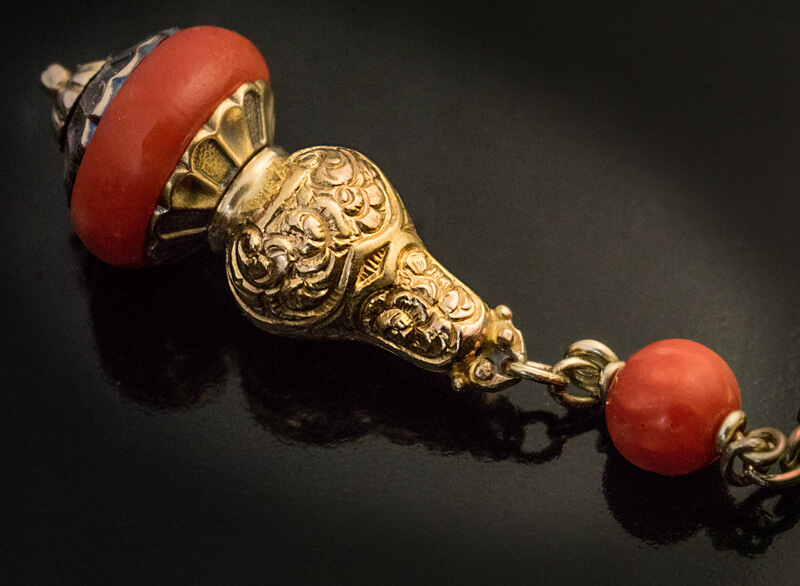 Weight 4.8 and 4.9 grams.